Boiler Servicing - Leighton Buzzard | S.Worrall Plumbing & Heating. Boiler servicing - find you local boiler service engineer here, we cover Leighton Buzzard, Milton Keynes, Dunstable, Aylesbury and all surrounding areas. We are a Gas Safe registered company you can rely on to do an first-rate job for boiler servicing and maintenance, we service any make or model of boiler. At S.Worrall Plumbing and Heating we offer full upgrades for boilers, heating and conversions and service any brand of gas boiler. Carbon monoxide poisoning can kill and is caused by faulty of poorly maintained appliances. It is vital that you get your appliances inspected and serviced regularly to make sure they are working safely and efficiently as possible, and to reduce the risk of breakdowns, gas boiler manufacturers recommend your boiler is serviced every year. What’s more an annual service can save you as much as 10% – 15% off your household energy bills *. * 10% – 15% saving source: Carbon Trust. Gas Safe and boiler manufacturers recommend to have your boiler serviced once a year to make sure it’s in good working order, as well as to make sure it’s operating safely. It’s a good idea to have your annual boiler service in the summer months to make sure your boiler is in peak condition when you need it. ✓ Check the appliance/boiler, location and central heating installation is to current standards and meets manufacture's requirements. ✓ Inspect the boiler flue for any damage, correct location, termination size and position. ✓ Check integrity of boiler casing seals and combustion chamber for corrosion or damage and replace seals or gaskets if needed. If parts are required advise customer on costs. ✓ Test the boilers flame failure and safety devices fitted to the boiler. ✓ Check water content in system or pressure in system (whichever applicable) and check pressure vessel pressure if present. ✓ Gas meter safety inspection and gas pipework soundness test. ✓ Gas pressure check to ensure the boiler is operating at the correct pressure. ✓ A flue gas analysis test to ensure there are no unsafe emissions from your boiler. ✓ Inspect your boiler and controls to make sure they are operating correctly. ✓ Visually inspect your boiler to check for corrosion, leaks and correct electrical connections. ✓ Check the burner gas pressure and adjust if it is necessary. ✓ Check for correct ventilation. ✓ Clean your boiler thoroughly using a vacuum cleaner and brush. 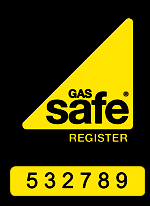 ✓ Fill in gas safety certificate/landlord gas safety certificate/service certificate. It is important you do not attempt to service your boiler yourself. Boiler services are only to be carried out by qualified Gas Safe Engineers. It is illegal for anyone other than a Gas Safe Registered engineer to work on a boiler. We provide boiler servicing in Leighton Buzzard, Milton Keynes, Aylesbury, Dunstable and surrounding areas. Any boiler make or model. Find your local boiler service engineer here.